The goal of using flipped learning is to get the most out of the face to face time in the classroom between teachers and students. 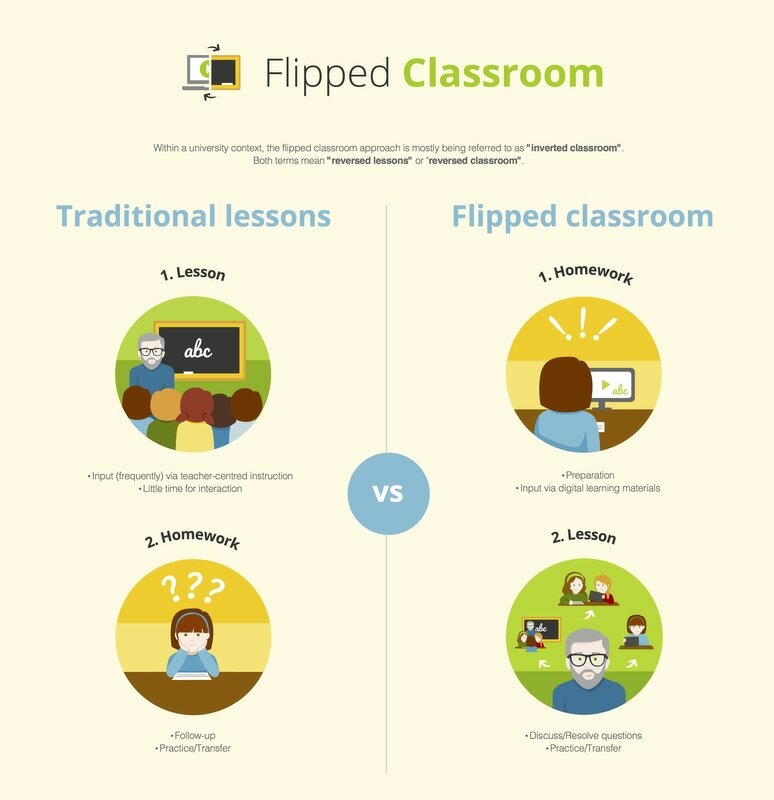 Flipped learning is a pedagogical approach where learning is student - centered, rather than teacher centered. The students get more responsibility, they take ownership of their learning and the teacher is more like a guide on the sideline. The simple way to explain this method is that the students usually get prerecorded lecture online which is followed by in class exercises. In that way they can use the valuable time in the classroom with the teacher, practicing and discussing with each other what they have already learned.